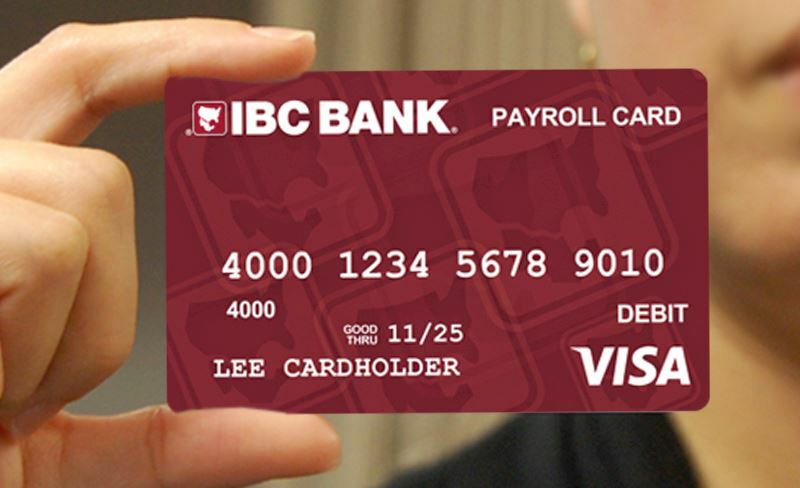 The IBC Bank Payroll Card is designed to take the place of a paycheck. This new payroll method enables the employer to deposit into a personal IBC Payroll Card on payday. Since the Payroll Card is reloadable, the employer can automatically load the wages each period. For more information, please contact an IBC Bank representative or visit your nearest IBC branch.